The church of the Redeemer ( Kurtarici kilisesi ) was one of the first churches that I came across when walking around Ani, an ancient Armenian kingdom that has now been added to the UNESCO World Heritage site list. The crumbling church stands near the foundations of an old house. The most prominent feature of the church is its destruction, which happened during a storm in 1957 and an earthquake in 1988. Today the structure is at strong risk of collapsing altogether. Architects and historians have been warning everyone since the late 19th century that the building was in danger. In 1912, a small amount of restoration took place and then again in 1999. That was not enough. If things continue like they are doing, in the next fifty years, a pile of rubble will stand in its place. This is likewise for most of the churches at Ani. Why should anyone care about the destruction of this church? Well, the church was built in 1035. It is over 900 years old. Isn’t something like this worth preserving? With every day that passes by, we can assume that future generations will be reduced to looking at photos of the church. They will not be able to see it with their own eyes. They will not be able to admire the brilliant and ancient architecture that formed that unique 19 sided dome. It is stated in history books that the church was built by a prince to hold fragments from the true cross, which was believed to have been the cross that Jesus Christ was crucified on. Some experts mock that there is now enough true crosses in the world to build a ship and they doubt many claims. It is unknown what happened to the true cross that lay in this church but for me it is irrelevant and frankly, I do not care. I have a passion for history but my concern about the church of the redeemer at Ani, is it’s future. That is, if it has one. Natalie, Turkey closed the borders with Armenia in 1993. They did it, not Armenia. As such, there are no diplomatic relations. Also, the white elephant in the room is that Turkey committed Genocide against the Armenian, Assyrians, Greeks, etc between 1915-1923. The Easter part of Turkey was ethnically cleaned. The Kurds who were used the killing ended up inhabiting most of these areas. Although I love the spirit of your blogs, you can do yourself a favor and read up on the history of these areas from non-Turkish sources, which are censored by the government of Turkey to cover up their bloody history. I love the ancient history! The inside of that church looks stunning. I wonder what it looked like in its hay day! Great photos, and I hope they save it. I don’t like the chances, it doesn’t look like much is holding it up at the moment. Thanks Levon,. any further reading links? 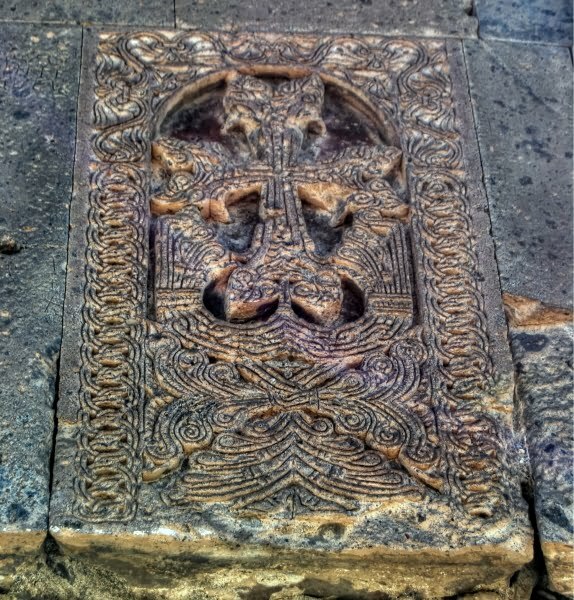 The Armenian goverment HAS on numerous occasions offered to send experts to Turkey, and continued to highlight both neglect and systemic destruction of sites like these, and much more has been done by Steve Sim of VirtualAni, and RAA (Research on Armenian Architecture) but Turkey has no interest in any of this other then the destruction of the country’s last remaining Armenian monuments. So sad to see this is happening. I doubt it will be saved 🙁 Its half-roof will collapse within ten years. Good article and photos. Thanks. What a stunning piece of history, how sad it would be to dissappear.. it has been there over 900 years, it deserves to be restored and passed to many generations to come..really hope so. Loved your photos, as always. Definitely should be saved! 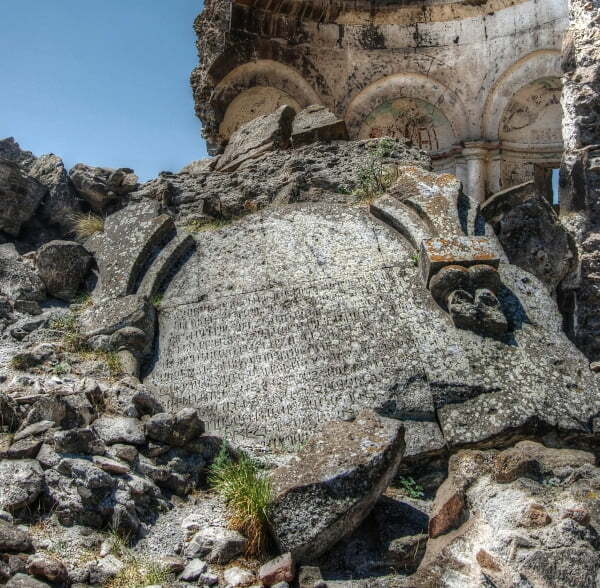 You can already see the cracks along the upper portion of the dome, and it’s a shame seeing that large section of wall with the carving lying on the ground forgotten. Sigh. Once I started delving into it, i was amazed too Ash. Could do a complete tour around the country of Christian history and it would take months to complete. 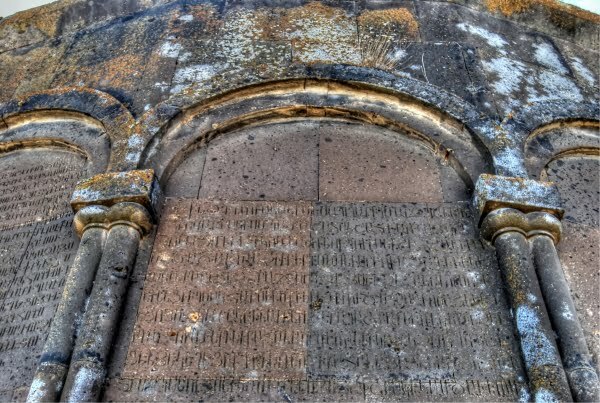 It should be saved because it’s an essential part of Anatolian history. It probably won’t be saved because the current Government seem to see history only through the prism of Islam. 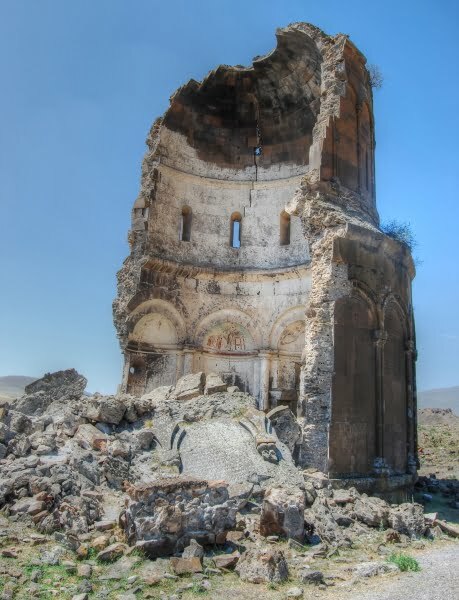 I have traveles extense thru Turkey and visited lots of byzantine ruins, churches etc, but have not come across this church at Ani. Is that the name of the place where it is located, Ani?. 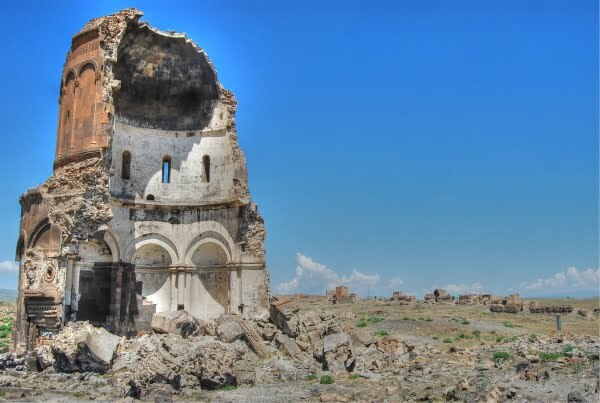 One thing is for sure, maybe the fact that those buildings are christian and not muslim, but that is the case all over Turkey; churches in ruins without any care of intentions to be preserved or rebuilt. I will apreciate it if you send me more information about this church and its location.